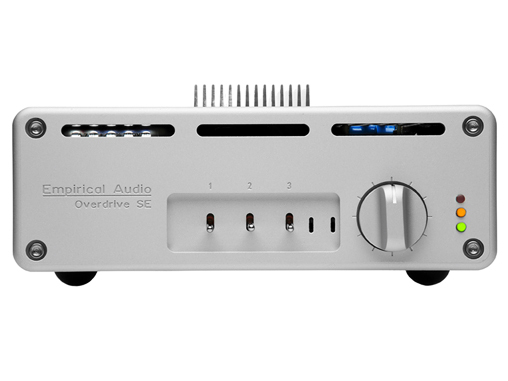 The Overdrive SX DAC is a breakthrough audio product, our third generation of this DAC. Our original Overdrive and the follow-on Overdrive SE won awards and accolades, but the sound quality of the SX is in another league. If you want the music experience that moves your soul, the Overdrive SX can deliver this. It is detailed without being harsh, dynamic from top to bottom, quiet enough to deliver the blackest backgrounds and precise enough to deliver the deepest, widest and most focused image you have ever experienced. Very 3-D presentation, provided your room setup is optimum. You will easily hear the difference between different formats, like FLAC, ALAC and .wav. Even 44.1 PCM tracks will sound like hi-res DSD or MQA. It actually makes these hi-res formats unnecessary. The Overdrive SX does not support DSD. It is available with our excellent low-jitter 192 asynchronous XMOS-based isolated USB interface or our excellent low-jitter 192 Ethernet Renderer interface (DLNA/UPnP) built-in. Either of these deliver data to the D/A with 10psec of jitter (jitter plots below). In addition to one of these two interfaces, the Overdrive also has S/PDIF coax input on BNC connector and single-ended I2S input on RJ-45 connector. The Overdrive SX has balanced and single-ended outputs, but the single-ended RCA outputs should primarily be used for a subwoofer. The Overdrive is best used with balanced outputs. If your equipment does not accept balanced signals, we can provide our Final Drives to change from balanced to single-ended. Even though the Overdrive SX is a Sigma-Delta modulator architecture, it delivers the live sound quality of NOS and R2R tube DACs, without having the tubes to wear-out. 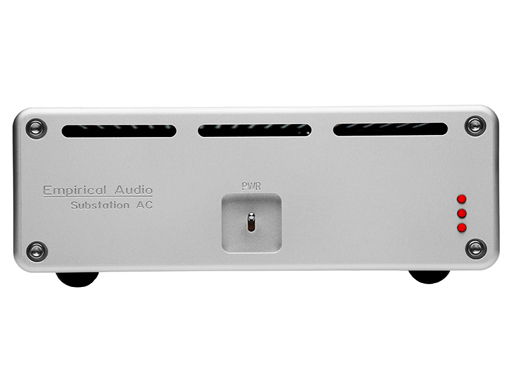 It is more accurate and more dynamic than any R2R DAC we have heard. 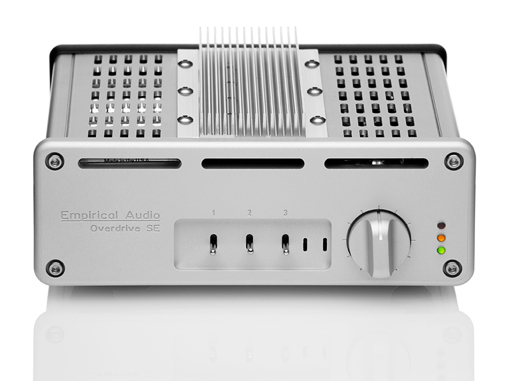 Because of the excellent volume control technology, the Overdrive SX DAC enables you to play music from your computer directly to your amp, achieving unparalleled sound quality. All you need is the Overdrive and a PC or a Mac, an amplifier and speakers and you are ready for music. The Overdrive will also improve the playback from your CD transport or other devices like Sonos, but we recommend using our Synchro-Mesh re-clocker to reduce jitter from those first. Once you start using the computer for music, you will never go back to spinning CDs. Playback using the computer will be superior to the best CD transport you have heard, even when playing low-res CD rips, provided you use optimum playback software and quality cabling. Once you have an Overdrive, we can assist you with the ancillary things needed to achieve optimum performance, like cables, software, re-clockers, isolators etc.. This high-performance solution is unprecedented and delivers a totally new sound quality level. The Overdrive SX received "Best Bits" designation from Audiostream.com in 2018. The Overdrive SX has a dual Turboclock, which provides clocks for the USB or Ethernet modules to support all sample rates from 44.1kHz to 192kHz. The Turboclock has separate voltage regulators for each oscillator. The Turboclock delivers these clocks with ultra-low jitter over GHz bandwidth coaxial cables internally. Feedback from customers is that the Turboclock enables the Overdrive SX to beat good vinyl systems. The S/PDIF coax input recovers the clock from the data-stream, so there is no re-clocking on this input and no local oscillator involved. This is intentional because we want the benefits of an applied low-jitter S/PDIF signal to be realized by the DAC, whether this is from a re-clocked transport or Sonos or a converter/renderer. Too many DACs have substandard reclockers on the inputs, which can help with high-jitter sources, but ultimately they limit the performance of the DAC when a truly low-jitter signal is driving the S/PDIF coax input. 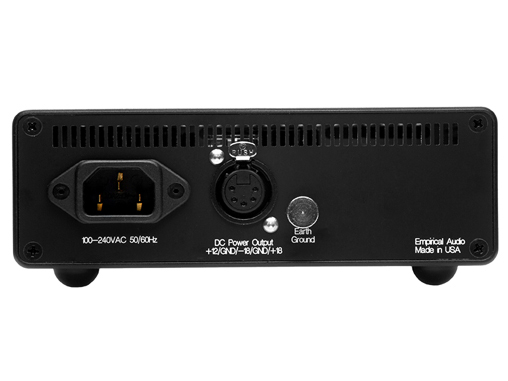 The S/PDIF coax input is transformer galvanically isolated to eliminate any ground-loop. The I2S input is transmitted directly to the D/A chip, so there is no re-clocking on this and it is not galvanically isolated. The analog path consists of an I/V stage (op-amp) driving a single output transistor followed by a signal coupling cap, either a V-Cap or a Duelund. This stage operates Class-A, so it gets a bit warm. Because a single stage performs the I/V, gain control and analog filtering, this results in very low distortion and noise. There are no resistors at all in the analog signal paths, except for very small damping resistors on the output. Resistors add thermal noise, so they are best avoided. There are no switches in the signal path, but there are output relays for muting. The Overdrive uses an Analog Devices D/A chip, with is a Sigma-Delta architecture. We allow for selection of the Sigma-Delta clock rate, in order to optimize the digital filtering. When this toggle switch is set to the down position, this delivers the most live sounding result for all sample-rates. It approximates what a NOS DAC achieves by eliminating any negative effects of oversampling and digital filtering. Volume control is accomplished without any added parts to the analog output signal path and without any changes in gain or resistance of the analog signal path. It is not an entirely digital or entirely analog volume control. It is a little of each actually. The volume is changed by adjusting the reference voltage of the D/A chip. This reference voltage is the tiny voltage that is used to calculate the final output voltage by multiplying the reference times the digital words. It does not adjust attenuation of a resistor divider, change the gain of an amplifier stage or truncate bits in the digital data like other volume control techniques. All of these would add noise and/or distortion to the signal. This technology is unique in the industry. Unlike other volume control techniques it has the characteristic of reducing the S/N ratio as the volume is decreased, an ideal situation. One limit to this volume technology is that the volume can be very low, but never zero, depending on the setting of the internal range jumpers. Complete muting must be done using the software playback app. The output stage includes a single RF bipolar transistor in Class-A mode. It is well known that this simple configuration usually results in some compression distortion due to the behavior of the transistor changing with load and voltage swing, but also sounds most natural. In order to completely eliminate this compression distortion, we incorporate a high-speed feedback compensation circuit in the Overdrive. This makes the output stage sound a lot like a vacuum tube, but much faster. Very clean, fast and transparent with no overhang. You will hear the complete decay in all cymbals and percussion. There are 4 analog paths, all identical. They connect from the D/A converter chip through the output stage and then to the outputs. All 4 are used for the balanced outputs. 2 of the 4 are used for the Single-Ended outputs. Damping resistors provide some isolation, so all outputs may be used, however balanced is the best way to use this DAC, with the RCA outputs only being used for subwoofer when needed. We recommend low-capacitance interconnects when both RCA and XLR outputs are used, and shorter is better. The 50 ohm output impedance is sufficient for most preamps and amps, however a good low-impedance preamp may result in better dynamics with your particular amp. Some amps require more current drive to achieve good dynamics. 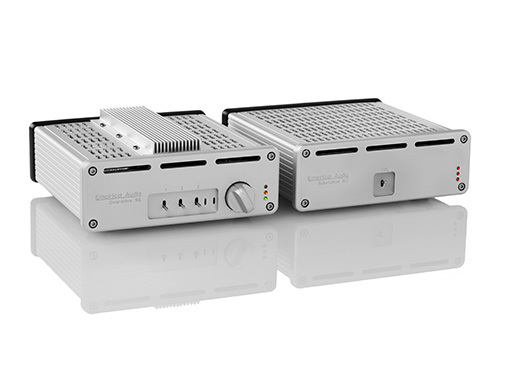 The Overdrive SX DAC chassis has a multi-pin high-current DC input connector only, so it requires a separate umbilical cable and DC power supply chassis, the Substation. 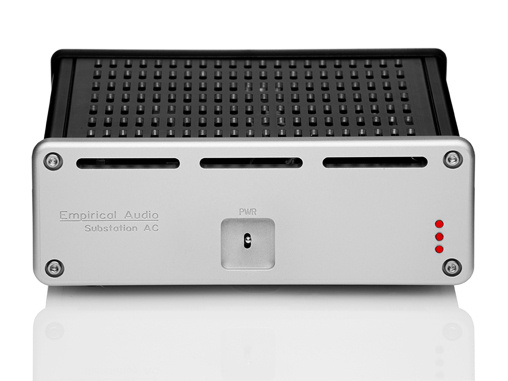 The DAC must be powered from the included Substation chassis, which has an IEC AC inlet. The Substation AC stores a LOT of energy for the DAC, as well as providing power sequencing and protections. It automatically configures itself for all domestic and foreign AC power. The Substation is a high-performance power subsystem with three high-current switching supplies followed by three linear analog Hynes-type voltage regulators which separates the analog and digital supplies completely. We have found this combination to yield the lowest noise while providing the fastest reaction time for regulation. This delivers the ultimate in slam in the music playback with unsurpassed bass control and low noise floor. At trade shows, including RMAF and Newport Beach, we routinely ask attendees to put their ears into the tweeters of the speakers because they are dead silent, just like the system is powered off. This is how good this power system is. No clicks from the speakers on power-on or power off. A number of key design decisions were made in order to optimize performance and sound quality over all other criteria. 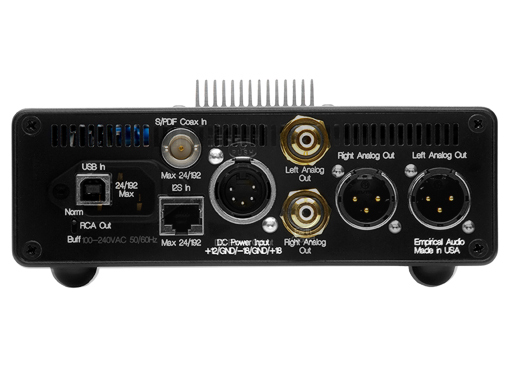 Small Chassis size – This was critical to reducing both digital and analog signal path lengths. Long signal paths add distortion due to circuit-board dielectrics and also introduce more noise due to ground-plane coupling and crosstalk. AC-coupled output – This was chosen because the alternative of DC-coupling would not allow a pure Class-A operation throughout. Class-A delivers improved performance by eliminating crossover distortion. The coupling capacitors available now are very close to a copper wire in performance, particularly the Duelunds. Short Signal Paths - Any analog signal transmitted more than 1 inch is wired with twisted-pairs of external OCC silver wiring with cotton insulation rather than circuit board traces. Digital signal path lengths are minimized. This minimizes the dielectric absorption that often creates a "dark" sound quality in audio components. 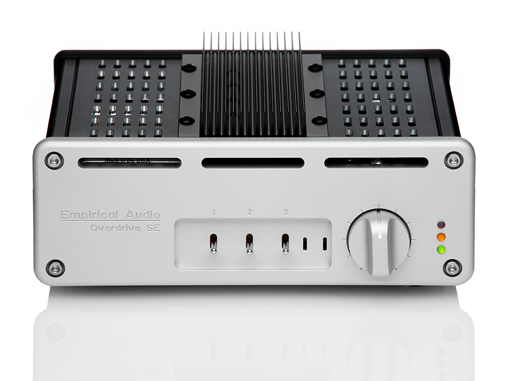 This is the most compact of any DAC design we have seen. Contiguous Ground-Planes - Our circuit boards all provide contiguous return paths for the digital and analog signals, minimizing jitter, crosstalk and intermodulation. We would rather add layers to the board than lower cost to achieve the best performance. Modular Design - The clock and computer interfaces are modular so that they can be updated over time as new technology becomes available. The USB module has been updated three times in the Overdrive's life. Hynes-Technology Voltage Regulators - Hynes Voltage Regulator technology is a key component in the Overdrive SX design. We have licensed this technology and use our own implementations in all of our products. Paul Hynes is internationally known for his high-performance regulator designs. These regulators add more dynamics, clarity and make it more analog-like. Hynes regulators are unique and provide not only high-speed accurate regulation, they reject input noise as well. The Overdrive SX DAC contains 16 Hynes-technology regulators, each designed for the specific application. The links below show the impulse response of the Overdrive DAC at 24/96 and 24/192. Almost no pre-ring and the pulse achieves almost 1.5V (the input level). The pulse on the 24/96 plot reaches 1.233V. Other DACs have more pre-ring and never get anywhere near the amplitude of the input signal. This demonstrates the fast slew-rate of this DAC and the grip that it has on transients. The Overdrive SX is warranted for 1 year, parts and labor. Customer pays shipping to Empirical Audio. Because the Overdrive is configurable, we do not offer a 30-day trial period like our other products. If the Duelund caps are desired, it can delay the product shipment for 3-4 months, depending on the time of year, but it is usually worth it. The Overdrive and Substation must not be operated over another warm component and they must not be stacked. If there is evidence of extreme overheating, the warranty will not cover this.